From our firm's office in Deerfield Beach, Florida, the law firm of Van Riper & Nies Attorneys, P.A., provides dedicated trial representation in a range of criminal and civil issues. With our client-centered focus, we offer legal solutions that are tailored to each client's individual situation and needs. We practice criminal defense, personal injury, and family and divorce law. Our Deerfield Beach trial attorneys provide comprehensive trial services focused on putting our clients in the best possible position for successful outcomes. As a cohesive team, we work closely with our clients to identify their needs and objectives, and then we craft individualized legal strategies while remaining available to clients. Our attorneys provide clients with cell phone numbers to call after hours and on weekends because we understand that emergencies are not limited to office hours. The backgrounds of our lawyers differentiate them from other attorneys in the community. Christian Van Riper is a former prosecutor for the state of Florida and is a former investigator for the Department of Children and Families (DCF). This gives him additional insight into criminal and family law cases as well as meticulous skill as an investigator. Tim Nies is a resident of Deerfield Beach. He is a veteran of the U.S. Army Airborne Rangers and a former insurance defense attorney. Injured in the line of duty, Tim worked hard to recover from his physical injuries. His experiences provide him with valuable insight into the daily struggles of people who have been injured in accidents caused by others. He also has a deep understanding of the policies and tactics used by insurance companies. 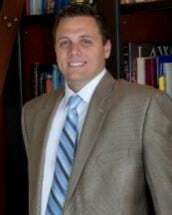 During law school, Tim was a law clerk for a well-known South Florida family law appellate attorney. At Van Riper & Nies Attorneys, our lawyers work together to provide trustworthy representation that fosters open communication. Whether our client is getting a divorce, is facing criminal DUI charges or has been injured in an accident, we use our combined experiences to leave no stone unturned and deliver tenacious trial solutions. Van Riper & Nies Attorneys, P.A., with offices in West Palm Beach, Stuart, Jensen Beach and Deerfield Beach, Florida represents individuals and families who have suffered an injury, due to the carelessness or reckless of others. Motor vehicle accidents may result in serious injuries, ranging from spine injuries to brain injuries and death. We are known in the maritime community for our proactive and hands-on litigation style, our personal attention we provide each and every client, and for leaving no stone unturned in the prosecution of maritime injury claims. Florida has one of the highest divorce rates in the United States. Divorce is not easy given the emotional, financial and legal uncertainties that surround the divorce process. Family law is very different than most other fields of law. Our attorneys are committed to professional service, skilled representation and providing criminal defense services at a reasonable rate.